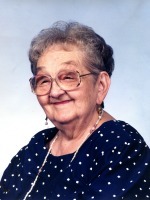 Elizabeth Hutchinson of Otsego, MI passed away Friday, February 24, 2012 in Kalamazoo. Mrs. Hutchinson was born October 18, 1914 in Bostwick, NB to Walter and Edna (Morgan) McConnell. Beth and her husband Francis had owned and operated the Otsego Market for 16 years and then Hutchinson Grocery for over 10 years. Beth had also worked at the D&C store in Otsego for several years. In her retirement she volunteered for Wings of Hope Hospice. Beth was a member of the Otsego First Congregational Church where she had been in the choir and was a past Deaconess. Surviving are her children, Patricia (James) Crusen of FL, Pamela (Duane) Kuiper of Otsego and John (Janet) Hutchinson of Galesburg; grandchildren, Michael (Angelique) Kuiper, Douglas (Katey) Kuiper, Ashley (Eric) Terpstra and Brian Hutchinson; and 6 great-grandchildren. She was preceded in death by her husband, Francis Hutchinson and by her siblings, Floyd McConnell and Thelma Scott. Friends may visit with her family on Monday from 2 to 4 and from 6 to 8 P.M. at the Winkel Funeral Home, Otsego, where funeral services will be held at 11:00 A.M. Tuesday. Burial will follow at Mountain Home Cemetery. Contributions in memory of Beth may be made to the Otsego First Congregational Church or to Wings of Hope Hospice. 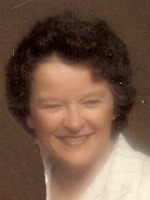 Joyce M. Hughes of Otsego, MI passed away Wednesday, February 22, 2012 in Kalamazoo. Mrs. Hughes was born May 28, 1924 in Kalamazoo to Eugene and Ruby (Ainsworth) Sandmeyer. Following her schooling Joyce married Norman Hughes who preceded her in 2011. Surviving are a daughter and a son, Susan K. (Gregory) Temple of Allegan and Norman “Chip” “Ray” Hughes of Otsego; 9 grandchildren; 24 great-grandchildren; many nieces and nephews and by her caretakers Eric and Rosie Rittenhouse. She was preceded in death by a daughter and 2 sons, Sharon Lee Hughes, Mark Richard Hughes and Michael Eugene Hughes and by her brothers Wilbur and Ronald. Friends may visit with her family on Sunday from 3 to 6 P.M. at the Winkel Funeral Home, Otsego, where funeral services will be held at 11:00 A.M. Monday, with Celebrant Bill Rose officiating. Cremation will follow the service. Contributions in memory of Joyce may be made to The American Cancer Society. 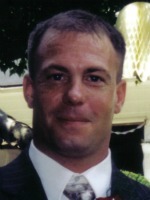 Paul J. Bradfield of Otsego, Michigan, passed away Sunday February 19th, 2012. Paul was born April 6th, 1970 in Kalamazoo. Paul is the son of David L. Bradfield and Thersia J. (Bradfield) Menne. He was a lifetime resident of the Kalamazoo and Otsego area. Paul attended KVCC and Allegan Technical Center earning a degree in precision welding and metal fabrication. He was currently employed at Vision Point Mobility. Paul is survived by his parents and stepfather, Stuart T. Menne of Otsego; Mr. and Mrs. Jeff Bradfield (brother and sister-in-law) of Kalamazoo; Cody J. Bradfield (nephew) of Kalamazoo; Jesse Bradfield (grandfather); Mark Bradfield (half-brother) and Andrea Bradfield (half-sister) both of Kalamazoo; and also many cousins, aunts and uncles across the U.S.
Paul was preceded in death by his uncle, Tommie G. Pate, and his maternal grandparents, Donald G. Pate and Bessie E. Pate. Also his paternal grandmother, Mrs. Carrie Bradfield. There will be no visitation by request of his family. Cremation has taken place. 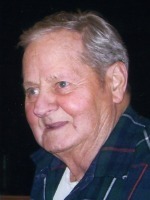 Ivan L. Blowers of Otsego, Michigan, passed away Friday, February 17, 2012 in Battle Creek. Mr. Blowers was born April 12, 1947 in Battle Creek to Ivan Sr. and Barbara (Nelson) Blowers. During the Vietnam War he served his country in the U.S. Army in South Korea. He was employed with the Mead Corp., later Rock Tenn, retiring as an electrician after 34 years. His favorite activities were riding motorcycles and boating on Gun Lake. On December 11, 1971 in Otsego he married Grace Barber, who survives. Also surviving are two daughters, Amanda (Eddie) Matthews of Seguin, TX and Elizabeth Kenney of Marathon, FL; three grandchildren, Ryan and Paige Matthews and Cash Kenney; two sisters and a brother, Michelle (Bill) Johnson of Middleville, David (Pat) Blowers of Allegan and Diana of Otsego; a step-brother, Robert (Ronnie) Doll of Californina; a step-sister, DeeAnn (Ed) Cohn of Ohio; several nieces and nephews. He was preceded in death by his parents and his step-father, Bob Doll. In keeping with his wishes, cremation has taken place. A memorial service is planned for a later date. Contributions in memory of Ivan may be made to the Alzheimer’s Association or the American Cancer Society. 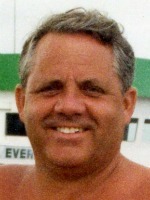 Edward M. Tourangeau of Otsego, Michigan, passed away Thursday, February 16, 2012, at his home. Mr. Tourangeau was born July 14, 1927 in Detroit to Edward and Selma (Fritz) Tourangeau. Ed served his country in the U.S. Army during the Korean War. For 35 years he was employed as a punch press operator for Bowers Machine Co. of Plainwell, retiring at age 62. In his leisure time he enjoyed playing the harmonica, antique tractors, gardening, playing horseshoes and being with friends and family. On February 14, 1958 in Plainwell he married Mary Mehrley, who survives. Also surviving are six children; Kevin Tourangeau of Allegan, Mike (Michelle) Tourangeau of Bloomingdale, Marty (Sue) Tourangeau of Shelbyville, Robin (Terry) Cole of Hopkins, Sherry (Paul) Burchfield of Otsego and Tony (Michele) Tourangeau of Kalamazoo; 10 grandchildren, Ashley, Michael, Tyler, Kohl, Shaylynn, Ava, Shai, Alexia, Arianna and Josh; 4 great-grandchildren; a sister, Ruth Simon of Redford Township; several nieces and nephews. He was preceded in death by his parents and three siblings, Marguerite, Emma and George. Friends may visit with his family from 5 to 8 P.M. Monday at the Winkel Funeral Home, Otsego where Funeral Services will be held at 10:30 A.M. Tuesday, Pastor Greg Carlson officiating. Burial will follow at Fort Custer National Cemetery, Augusta. Contributions in memory of Ed may be made to the family for expenses. Leland T. Brazee of Alamo, Michigan, passed away Thursday, February 16, 2012 in Kalamazoo. Mr. Brazee was born November 17, 1943 in Kalamazoo to Otis and Kathryn (Fuller) Brazee. Lee was a Navy Seabees Veteran of the Vietnam War. He had been employed with Gibson Guitar and then for 32 years was employed with the Upjohn Co. For 30 years he served as a volunteer with the Alamo Fire Department. He was a lifelong hunter, enjoyed gardening and the out-of-doors and loved to help his family. On June 19, 1999 in Otsego he married Jeanne (Stauffer) Goorhouse, who survives. Also surviving are two sons, Rodney (Nancie) Brazee of Kalamazoo and Mark (Krista) Brazee of Alamo; step-children, Chad (Tina) Goorhouse of Cincinnati and Amy (Rob) Hicks of Mattawan; 10 grandchildren, Hayden, Logan, Tucker, Wyatt, Taylor, Jocelyn, Thomas, Caleb, Wyatt and Tabitha; two brothers, Walter (Judy) Brazee of Kalamazoo and Kenneth (Kate) Brazee of Casper, Wyoming; several nieces and nephews. He was preceded in death by his first wife, Judy (Troutt) Brazee in 1998; and a sister, Mary Lou Sumner in 2005. Friends may visit with his family from 1 to 4 P.M Sunday at the Winkel Funeral Home, Otsego. Funeral Services will be held at 11:00 A.M. Monday at the United Methodist Church of Otsego, Pastor Bill Walker and Pastor Joe Shaler officiating. Military Honors will be conducted by V.F.W. Post #3030. Cremation will follow. Contributions in memory of Lee may be made to the American Cancer Society or the American Heart Association. 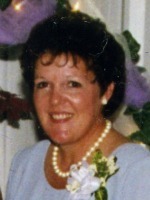 Debra J. Kooistra of Hopkins, Michigan, (formerly of Otsego), passed away Wednesday, February 15, 2012 at her home. Debra was born July 30, 1954 in Kalamazoo to James and Beverly (Crippen) Liles and had been a lifelong resident of the area. She was a 1972 graduate of Otsego High School. On September 9, 1972 in Otsego she married Elmer “Tom” Kooistra, who survives. Also surviving are two daughters, Sarah (Robert) Dimond of Delton and Hayley (Ryan) Scharping of Hastings; three grandchildren, Shelbie Dimond of California, Gavin Scharping and Grady Scharping, both of Hastings; two brothers and a sister, Kenneth Liles of Portage, David Liles of Florida and Marilyn Liles of Kalamazoo; brother-in-law, William J. (Wilma) Kooistra, Jr. of Plainwell; sisters-in-law, Judith Bongers of Plainwell, Nancy (Tom) Beaver of Parchment; many nieces and nephews, including Steven Bongers of Plainwell. In keeping with her wishes cremation has taken place. Friends may visit with her family from 4 to 8 P.M Friday evening, February 17, 2012, at the Winkel Funeral Home, Otsego. 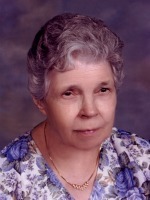 Gladys Wyatt of Plainwell (formerly of Otsego) went to be with her Lord on Monday, February 6, 2012. Gladys was born December 14, 1919 in Sturgis, the daughter of Lyndon and Clara (Baldy) Wyatt. She attended 5th through 12th grades at Otsego Public Schools, graduating in 1937. Gladys obtained her Bachelor and Master degrees from Western Michigan University. In 1983 she retired from Martin Public Schools after a 42 year teaching career. The Wyatt Center at Martin Public Schools was named in her honor. She was a member of the First Baptist Church of Otsego, the True Blue Class, Gideons International and the Allegan County Retired School Personnel. Gladys had been on a mission trip to India, where she visited orphanages. Her hobbies included flower gardening, crocheting and crafts. Surviving are a sister Margaret Hamminga of Kalamazoo; a brother Duard Wyatt of Indianapolis, IN; a sister-in-law, Joyce Wyatt Brunsink of Jennison; 2 brothers-in-law Omar Royer of Frankfort and Carl Gordon of Kalamazoo; many nieces and nephews. She was preceded in death by 3 sisters and 1 brother, Ruth Gilson, Beverly Gordon, Mary Louis Royer and Donald Wyatt. Friends may meet with her family from 6-8 pm Thursday at the Winkel Funeral Home, Otsego. Funeral Services will be held at 11:00 A.M. Friday at the First Baptist Church of Otsego, Pastor Merlyn Jones officiating. Interment will be at Mountain Home Cemetery, Otsego. Memorial contributions may be made to Gideons International or the First Baptist Church of Otsego. 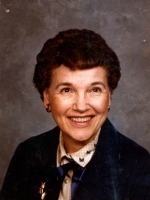 Betty Lou Lutes of Holland, Michigan, passed away Tuesday, January 31, 2012 in Alamo. Mrs. Lutes was born March 10, 1941, in Allegan, Michigan to Guy and Elffie (Morris) Foote. Betty had been employed at Pipp Community and Allegan General Hospitals as well as many other facilities, retiring from Houghton Lake Community Health after over 30 years as a registered nurse. In her leisure time she enjoyed knitting, crocheting, quilting and reading. Betty also enjoyed snowmobiling, having lunch with friends and had spent many night with her family in their camper. On July 1, 1961 she married Ernest “Jim” Lutes, who survives. Also surviving are a daughter and a son, Tammy Ellen Lutes of Holland and Thomas Allen (Betsy) Lutes of Otsego; two grandchildren, James Clayton (Cora) Lutes and Jessie Ellen Lutes; a great grandson, Clayton Jonathan Lutes. She was preceded in death by her parents and two brothers, Jack and Lee. In keeping with her wishes cremation has taken place. Burial of ashes will take place at a later time. Contributions in memory of Betty may be made to Wings of Hope Hospice.